Launched in 2005, DNS Accountants began as an accountant practice with its head office in London. Since its advent, there has been numerous groundbreaking milestones for DNS Accountants. 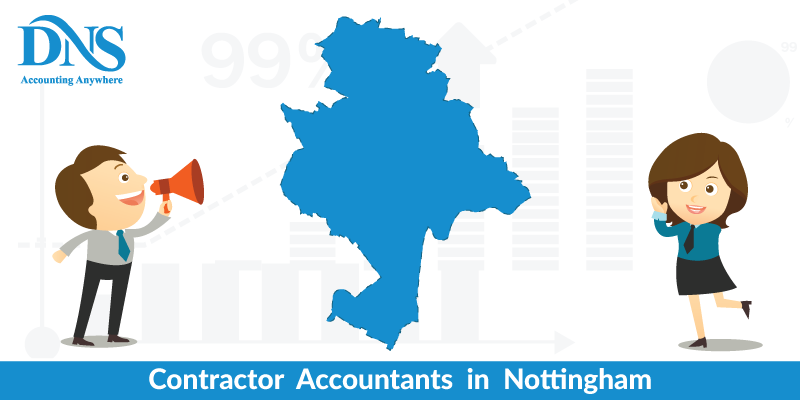 Particularly in the year 2013, which was a phenomenal year for DNS Accountants, we won various accolades for our expert services and ability to provide cheap contractor accountants in Nottingham. DNS Accountants was nominated for four British Accountancy awards in 2013 earning a reputed and well-known reputation of one of the most recommended contractor accountants. Winning the title of ‘Online Accountant of the Year’, DNS has secured its place in the industry and has taken the accounting world by storm. Currently, DNS offers a multitude of services as a leading online accounting service; we provide year round services ensuring satisfaction of our customers. A city located in Nottinghamshire, England and having a population of around 300,000 in the city area (excluding the suburbs), Nottingham has a link to the legendary Robin Hood, lace-making and bicycle and tobacco industries. Another key area covered by services of DNS Accountants is dealing with the HMRC (HM Revenue and Customs) which ensures Tax Compliance as per the guidelines and legislations of the Government of the United Kingdom. These taxes become significantly essential in the case that you are an entrepreneur and running a business, even though they are also applicable to individual taxpayers. DNS Accountants assists you in dealing with the consequences of a Tax Compliance Check held by the HRMC. Our team of Contractor Accountants for Small Business also takes up the fundamental role of an advisor for matters related to VAT Registrations and Returns and helps the clients avoid any unnecessary hassles. DNS Accountants runs a highly efficient system of Accounting, Taxation and Financial Services maintaining our status of one of the highly recommended contractor accountants in the region. DNS aims to give the best possible services that can be extended to the public at minimal costs, making it a very suitable option for companies or entities that are seeking out cheap contractor accountants in Nottingham. Services can be extended through E-mails, telephone and face-to-face meetings can be arranged whenever necessary to take the accounting process further. DNS Accountants provides a range of packages which can be carefully selected on the basis of the requirements of the business. The packages have been aptly designed while keeping in mind the business scenario and the organizational goals. There are both small business packages as well as contractor packages available to choose from. Our services are always one step further by making sure the advisory and support function is performed perfectly. We also provide a facility of free consultation in order for the customers to get a feel for our accounting, financial and taxation consultancy services before an official contract is signed. Following is a list of the main services provided by our team of expert professionals to help start-ups, small businesses, individuals, freelancers, and contractors. From April 6th 2012 onwards, Government has introduced this HMRC approved the scheme. In case you are a resident of the United Kingdom (but non-domiciled), you have the opportunity to bring in overseas money for investment in the country without having to face the burden of paying taxes. This attractive option is open for various private company investments as it incentivizes investors who are non-domiciles of the United Kingdom to invest in businesses here. Being exempted from taxes, like income tax and property tax is a major driving force behind this scheme. Funds must be invested within 45 days after entering the UK. We have a team of expert consultants to help you with all the formalities associated with this scheme. As DNS strives to provide superior quality of service to locations all over the United Kingdom, the places that are also included within its purview of reach are Cotgrave, West Bridgeford, Carlton, Arnold, Ruddington, Radcliffe on Trent, Burton, colchester, warrington and various others nearby locations. 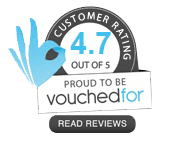 The support and services provided by DNS Accountants make it one of the most -reputed online Contractor Accountancy services in the UK and thus, which has helped us win a lot of recognition. The employees of DNS are dedicated, friendly and approachable, and thus, all queries can be resolved quite easily and quickly providing your company with premium accounting services at prices that are affordable and advantageous.